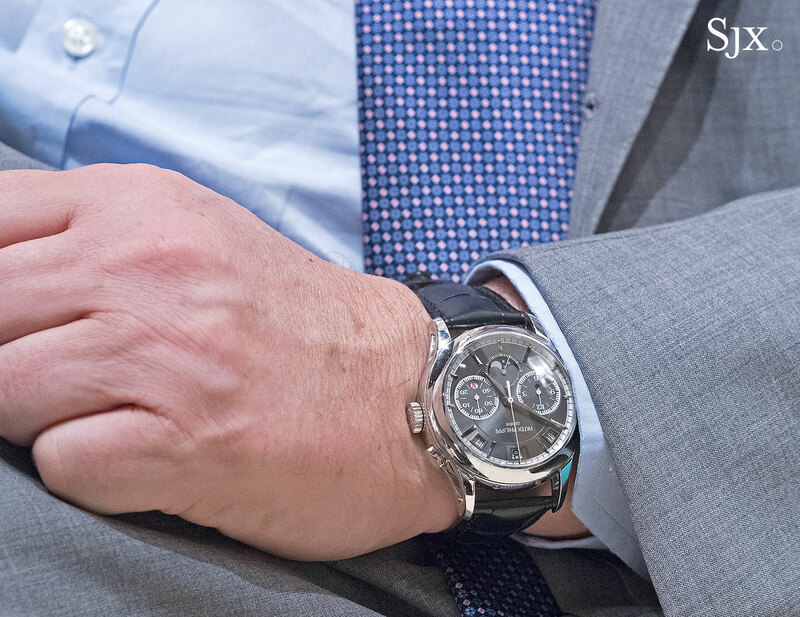 The President of Geneva's preeminent watchmaker speaks candidly and broadly about the industry, the brand and the next generation. 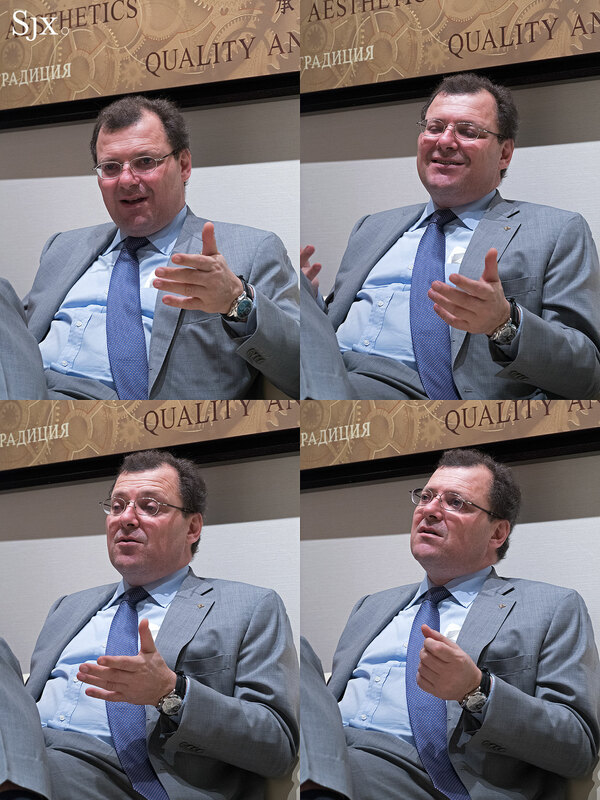 Having become President of Patek Philippe in 2009, assuming the mantle once donned by his father and grandfather before him, Thierry Stern is no mere watch industry boss, he is the steward of a multi-billion Swiss franc enterprise that is arguably the world’s most prestigious watchmaker. In Singapore earlier in December for the reopening of the Patek Philippe boutique at the Marina Bay Sands casino resort, Mr Stern repeatedly returns to the subject of patrimony during the interview, portraying himself as the steward of an institution that will be passed on to future generations. In a wide ranging conversation, Mr Stern discusses topics as diverse as the stainless steel ref. 1518 that sold for SFr11m the month before, the evolution of Patek Philippe design, and even the controversial but bestselling Calatrava Pilot Travel Time. What’s your favourite role at Patek Philippe? I would say creation is a big part. Actually two parts, creation is important, and the second one is like what I’m doing today, travelling, the commercial side of the business. Would you say you’re the brand ambassador, the face of the brand? How did you start at Patek Philippe? I was maybe 18, maybe 19. It was a big discussion between me and my dad, whether I should go to university or work for Patek. [He said] I know you, for sure you won’t enjoy university, so it’s better you go in the field and work. So that’s what I did and I never regretted the choice. He also told me, nobody will teach you the DNA of the brand. You have to learn it in your own way, by travelling, listening to people, working at Patek. You will miss some training or [specific skills] that you can find only at university. But for those [skills] that you don’t have we will find good people. But I will never find somebody with the DNA of the brand. This is something you have to learn yourself. Tell us how the brand’s design identity has evolved from your father’s tenure to your own. It’s quite logical as the family is designing [the collection]. Each of [us family members] has worked at the creation department. It was my dad before and he started young like me, designing the Nautilus – this was quite [a young design] at the time. And then became older, maybe more calm, and then he adapted the style to his age. Then I came in [as President in 2009], I was younger so I had to adapt the style of Patek, to respect the DNA, but also to do something a little bit younger. And that’s where you can see the first grey dial [for Patek Philippe], on the 5056 annual calendar platinum. Now I am getting a bit older, so I maybe I am more cautious. Each age has its own evolution. When you are young and starting you will always go too far. The role of my father was to say, “Okay Thierry, but don’t go too far.” And that’s how we are doing it. And then we have also guardians who help us, for example the [management] team, like Mr [Jerome] Pernici who’s the head of the commercial [department], is also part of the creation team. We also need to trust people who know the market very well. What’s the Patek Philippe “DNA”? It’s what I have seen since I was a child. I was always in the middle of watches, with my grandfather, with my father, and all the books. Imagine when you are living in the middle of watchmakers, even if you are not going to look at them, you will see them. [laughs] That’s how you have to learn the DNA. There’s no book that will teach you that, except today we have the museum book so you can have a look at all the pieces. 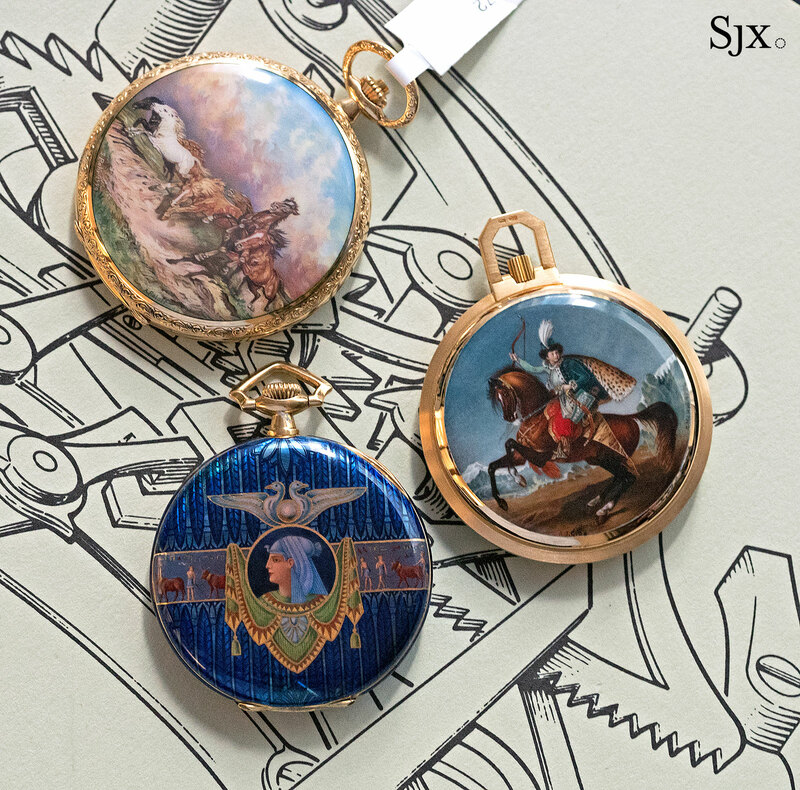 A good example: I asked my dad many years ago, how do I recognise good enamel pieces? Early on I had difficulty [distinguishing] between a normal and a very fine example, but that was easy for [my father]. He told me there is only one solution, when you have a hundred of them in your hands, you will know. Name the stand-out watch introduced during your time as President. The pilot watch. [The Calatrava Pilot Travel Time] was something that was not needed and was not expected. But I thought it was fun to do it. Most of the time, people who really like Patek know what are we going to launch the next year. You look at the collection [and see] this reference in white gold, so you can imagine we will launch it in yellow gold or rose gold. That’s something that bothers me sometimes, because I think it’s great to surprise people. It’s like having your gift for Christmas but you already know what you’re going to receive. You’ll be happy but on the other hand you’re losing the effect or the pleasure. That’s why sometimes it’s fun to prepare something that nobody expects. The pilot watch was one of them. Today it’s a very successful piece. People accept it. I could sell much more but I am limit the production. And if you look at the details, people didn’t realise how far we went. All the small details on the dial, on the case, the pushers. That’s Patek Philippe. People said it’s not your design, but it is. You see it in our museum where you have the two original examples. In fact, I have another [vintage pilot’s watch] that can prove to everybody that it’s not a copy of Zenith or IWC. Mine was earlier. I have never showed the picture, I kept it in case [the criticism] went too far. What are your thoughts on the luxury watch market? If you look at the market today, it’s not the best, but it was always like this [with] ups and downs. Maybe for the younger generation they are not used to it, they have been only seeing the market going up, year after year. But when you start to talk with my dad, or even with me now – I am getting older – I have seen that already. It’s part of the business. Now we have the answer. Because it was too fast, too dangerous, we had to go step by step. Today none of those people who used to say I was wrong will say that again. 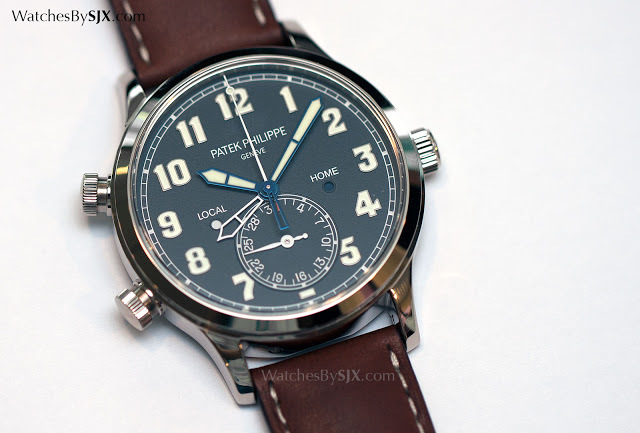 Is Patek Philippe on the acquisition trail? Patek Philippe was already fabricating everything inside [our own factories]. Many years ago I asked my dad, why should we do everything in-house? We have good people outside the firm, in Switzerland there are a lot of good companies. He told me he tried; they are good and they can reach Patek Philippe quality, but the quality goes up and down. So if you want to maintain the right quality, it has to be internal – that’s the only way. [But we do not invest] in watch companies. We have investments, for example, in research. It can be together with some other brands, because it’s too expensive to do it alone. Or we invest in some suppliers who are in difficulty. For example we need the rubies [for movements] and there’s only one company making all the small rubies. I don’t want to buy this company because I don’t need that quantity, because I am using maybe 1% of their output. But I need those rubies so we are investing [in the supplier, alongside] many other brands… we have to invest inside to protect that. 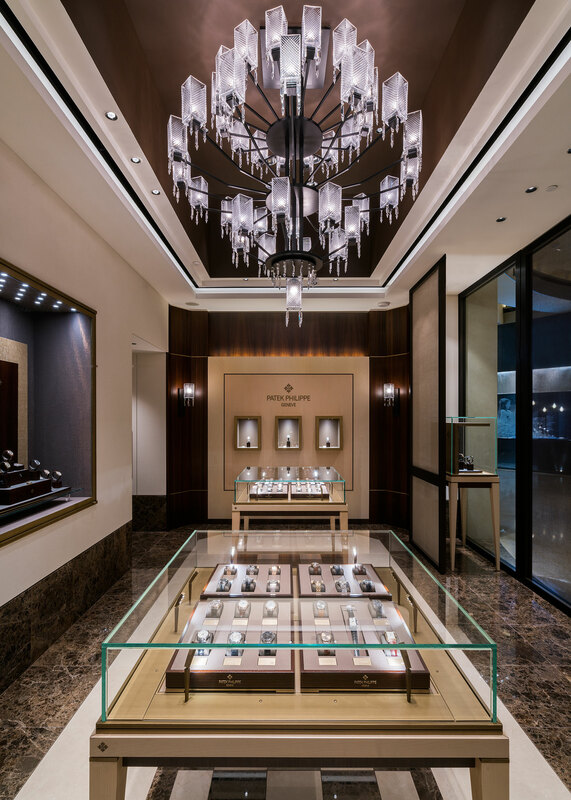 Patek Philippe has a diversified client base – how did you do that? Patek Philippe produces approximately 60,000 pieces for the whole world, so there’s no way I could go and open [the Chinese market] just like this. We had good customers before and we will also have them after the crisis. We have to treat [clients in China] the same way as we would treat an American, European client. But we should not forget Patek Philippe has been successful through those years because the main idea was to work with local people. We have always [encouraged stores] to focus on local clientele. They can get Chinese and American [tourists] in Europe coming to the store that they do not know, and [tourists] only come once. So do not sell to that client the only Nautilus or the enamel piece. Keep it for a client whom you know will come again for anniversary, birthday, baby, new wife, ex-wife. [laughs] That’s why we are so successful even today. 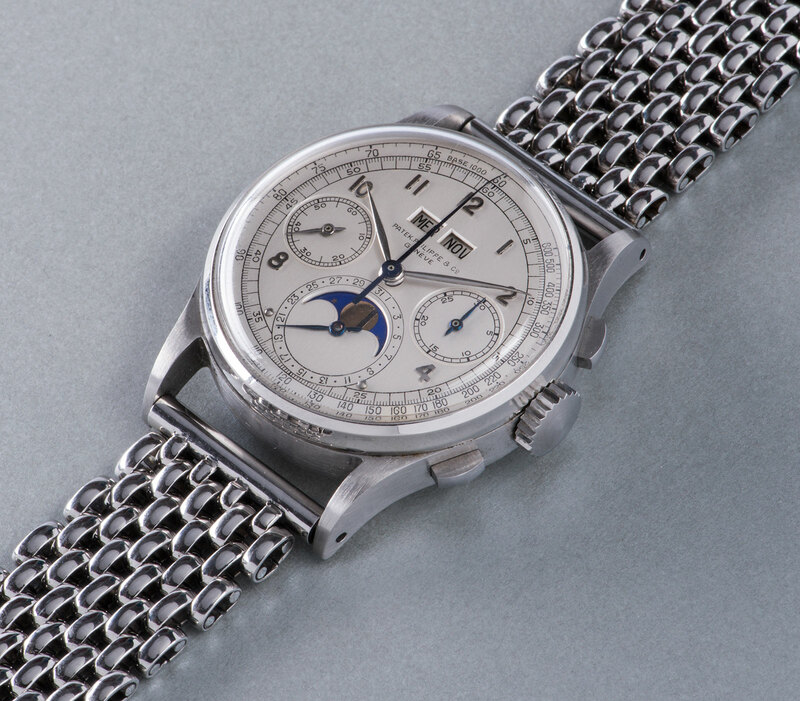 How significant to your business are the record auction prices for vintage Patek Philippe watches? [Strong auction results] give confidence to the customer. He appreciates the fact that yesterday we created those beautiful pieces and then today we are still making [beautiful watches]. For sure it’s beautiful when you see that in the 1940s when we created the [1518 in stainless steel], the price was SFr2500. And today, SFr11m. Wow. As I say it does give confidence. Most important, people realise that the watch is still working and we can fix it. This is also beautiful, that the watch of my great-grandfather can be restored and it’s going to work again. And maybe also the value will also be there and increase. The ref. 1518 in stainless steel that sold in November 2016 for SFr11m. It’s really a boost, but we should not also take too much advantage of it, because I do not want that customers to believe that when they buy a Patek Philippe, in ten years they will sell it for ten times the price. I prefer to see customers wearing the watch. It should not remain in the safe. I am not working so hard to design [the watches] so that clients can just leave them in the safe. [The watch] has to be a pleasure, it’s something that you should enjoy. How do you stay relevant as an independent, family-owned watchmaker? It’s just a matter of saying I am not willing to sell, as I am confident in the brand. We know what we are doing. We need to be strong financially, because most of those brands had to sell either because there was nobody willing to take over – it’s possible you don’t have any relatives – or because they got in trouble and they didn’t have any backup. That’s the problem when you are a family business that is not a [diversified] group. When you have a group there will always be a brand that will bring the money in. As a single brand if you’re failing nobody else will help you. You have to go and talk with the banks and that’s the end of it. So you have to be very vigilant and have strong reserves. My family has 100% of the shares [of Patek Philippe], so we keep the dividends. Some of it we will spend, that’s normal. When I wasn’t married it was not that much, since I got married it’s a bit more expensive. [laughs] Some of the dividends have been used for the new Patek building, but the rest we are going to save. But it’s important that we know we are going to keep them, because it’s the best investment for my family also. I know that if I have Patek Philippe well secured with good reserves, when bad times will come, I can save Patek. Most of the brands today they don’t have any reserves, and I don’t understand that. Is the next generation going to take over? [My children] are young, 13 and 15. We have to be vigilant, the more you push them, the less they [want to do it]. I told them: my choice is not your choice, I lived my own life, you have to live yours, and you can choose whatever you want. If they are not willing to take over, fine, we will just be organised another way to skip a generation. It’s too early to say. But you see the elder one is now [at Patek for] three days; they have a [school programme] where they have to go somewhere [to work for three days]. I told him he could go [elsewhere to work], we know so many companies, but no, he said I would like to come to Patek. So it’s a good sign.